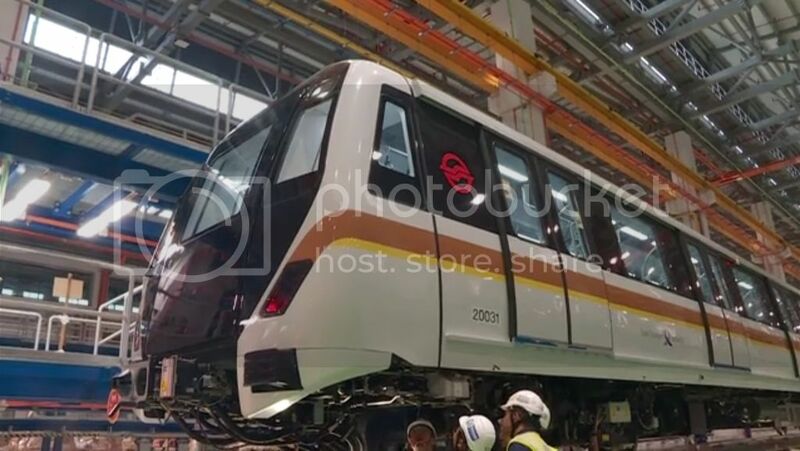 The first T251 train arrived, picture stated car 20051, which is PV5. Numbering similar to CCL and DTL I see. What will be the propulsion system for CT251? From this video below(Credits: willischong), the propulsion sounds like latest batch of MTR Train which provided by Mitsubishi, but then we don't have physical proof on that so can't say much. Another two more TEL trains arrived, one of them is PV4. PV6 spotted at Mandai Depot Test Track.